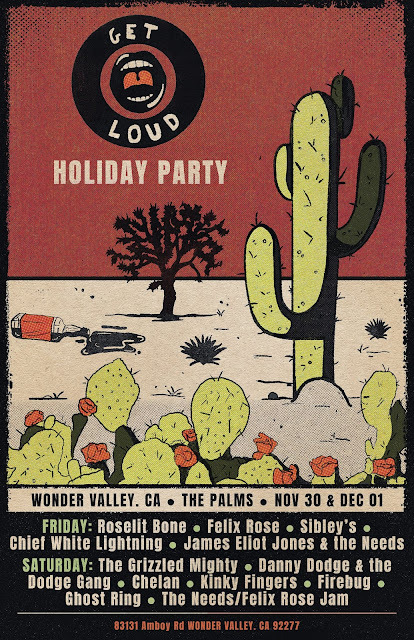 This year's annual Get Loud Holiday Party will be in Wonder Valley at The Palms Restaurant Nov 30 - Dec 1, 2018. 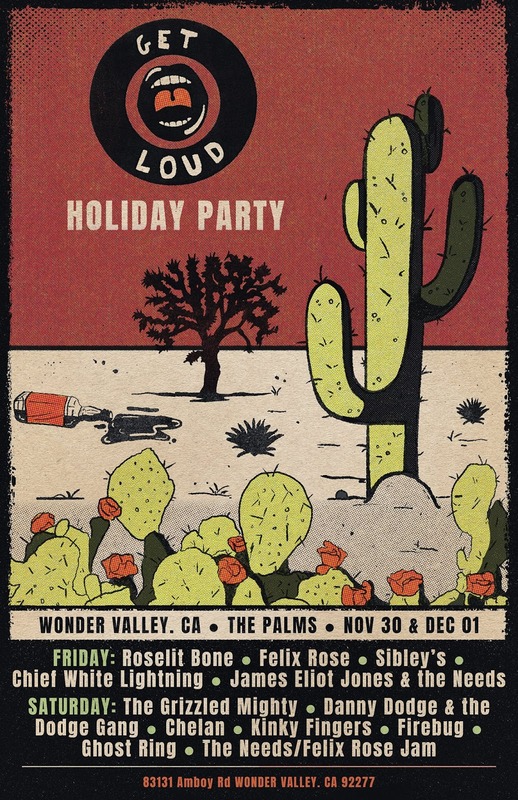 Tons of bands, booze, laughs and gifts. Free entry all weekend. 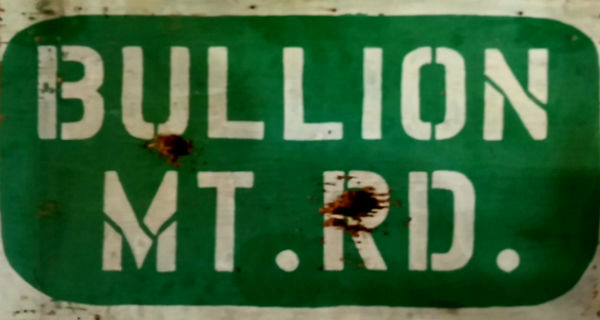 + special jams sessions all weekend.